Choosing the right digital marketing agency in Essex is a difficult task. The market is saturated with many businesses, all competing in a highly dynamic market. There's one main characteristic that distinguishes your average SEO company from the elite and that's RESULTS. We are an established SEO organisation who cover a wide range of Search Engine Optimisation services and have been doing so for over a decade. We have a number of ready made packages to suit your needs. In the last ten years our company has delivered hundreds of clients top 5 page 1 results on Google with our tailored SEO Campaigns. We implore anyone considering our services to give our clients a call for a reference to see how effective we are. This page is here to help marketers, entrepreneurs and small business owners understand what an SEO Agency provides as well as act as a guide for identifying the most suitable package for your business. First, let's get the basics out the way. What is the point of SEO? If you have a website, you want to be seen by as many people as possible. If you come top of a search engine like Google the more likely you will get more traffic to your website. That is the essence of SEO, it means optimising your site for search engines so you can maximise the amount of people who see your website and convert those views into enquiries and/or sales. 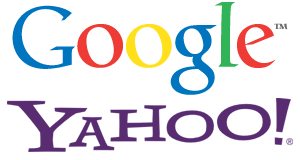 What are Google and other search engines trying to accomplish? All search engines are trying to do is return to you the most relevant websites according to what you've typed into their search bar. The more relevant the returned results, the more likely you will consider that search engine most effective and use it again. Search engines like Google use an algorithm that measures certain attributes to decide how relevant a website is according to what has been searched. This however does change quite frequently because some individuals/businesses try to generate traffic through dishonest means. Another reason why the search engine algorithm changes is because search engines like Google develop a more effective way of ranking data relevancy. 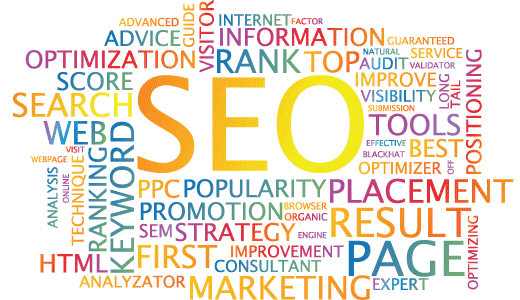 The two main areas in Search Engine Optimization (SEO) are On-Page Optimisation and Off-Page Optimisation. Below are some details about each aspect. All sites need to have a selection of keywords in mind when making a website that will bring it to prominence on search engines. For example if your business is a garden furniture shop in Essex and you would like to increase the amount of visitors to your shop, a keyword that you may want to rank on page one of Google for would be â€œGarden Furniture Shop Essexâ€. On-Page Optimisation refers to all the information on the website that is both visible and non-visible (html; the computer language that makes up the website, site infrastructure and architecture) that contributes to the relevancy of the keyword. The better tailored this data is for this keyword, the more importance Google will place on the relevance of the site and subsequently rank it higher. Other elements will also influence your overall ranking such as page speed, sitemaps, link-flows and tags amongst others. Click HERE for more information regarding this aspect. Off-Page Optimisation refers to link building. Link building is when another website has a clickable link on it's site that links back to the website which is trying to achieve good ranking. There are many different variables that make-up a good link-building campaign and all the variables work in conjunction with each other.